There are definitely more epic RPGs out there, but I really enjoyed my time with The Alliance Alive and cannot really fault it in any way. The more I played, the more I found myself enjoying it - as the story and characters evolved. 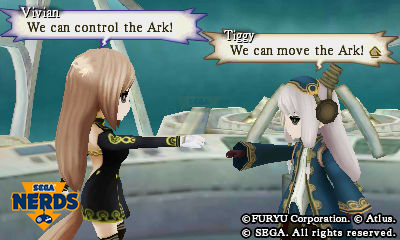 Coming off the back of the infuriatingly mediocre The Caligula Effect on the PS Vita, Japanese developer, Furyu and SEGA/Atlus brings us The Alliance Alive for the Nintendo 3DS – a Japanese RPG with more to it than meets the eye. It’s fair to say that I was more than surprised by what The Alliance Alive offered in terms of both story and gameplay and it’s a welcome JRPG title for gamers (like me) who don’t often enjoy turn-based titles, such as Final Fantasy or Phantasy Star. 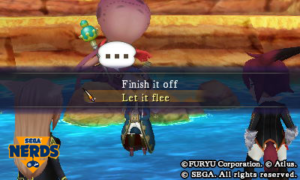 Some JRPGs can spend hours just starting the game, but thankfully The Alliance Alive wastes very little time presenting the main characters, introducing you to the world and the key plot points. There is a unique hierarchy in the world: creatures called ‘Daemons’ are the ruling species, in control of the ‘Beastfolk’, who, in turn, dominate and supress the lowly humans of the lands. This hierarchy came about after the Daemons waged war against the humans and, being a superior species, won. After the war, the world was split into different realms, with a magical barrier called the ‘Dark Current’ preventing humans from travelling to the different lands and only Daemons, who live high above the main lands have the ability to travel between the realms. Our main story begins approximately 1,000 years after the war, in the town of Svalna, where we are introduced to two young characters, Galil and Azura. This part of the world is constantly raining with the blue skies of previous times just stories of legend (no, seriously), it is also here that a rebellion is forming against the Beastfolk ruling the land, with Azura’s father, Wyatt, at the forefront of the uprising in the region. After the quick introductions to the story and a handful of characters, you are thrown into the game and sent out on an adventure, in part because Azura has heard tale of a painting of the mythical blue skies being hidden away in an ‘Ancient Museum’ close to Svalna. From here the story develops and throws out some pretty decent curveballs. Ultimately your rebellion comes down to finding out how to dissolve the magical barriers across the world, defeating some particularly tough Daemons, Beastfolk and monsters, and forming an alliance with humans from the different realms. The Alliance Alive intrigued and entertained me more than I expected. From screenshots it’s easy to be deceived into thinking that this is a child’s game, but it’s complex enough to hold older gamers’ interest, while not taxing enough to be confusing or long-winded. It tackles its content with a lot of humour and also focuses on some darker undertones, while character interactions and developments are more entertaining than quite a few RPGs I’ve played. Side note: There’s a really creepy/weird bit where you go into a house and talk to some kids and they basically tell you that their dad has been physically/verbally abusive since their mum left… WTF? While Galil and Azura are possibly seen as the main heroes of the game, you are introduced to other groups of protagonists, from very different backgrounds and have a different look on the world, who ultimately find their stories/destinies converging with that of Galil and Azura. One of these groups features a high-ranking Daemon, Vivian, her Daemon bodyguard, Ignace, and Tiggy, a human scientist, who are all working together to solve the mystery of the barrier separating the world. It’s through this party we learn that not all Daemons are monsters who want to dominate other species, but they want peace for the world. In another group, we have two humans, Rachel a mercenary who has been hired by Gene, another human actually working for the Daemons. Gene feels there is no need to fight their rulers and does their bidding in a hope to bridge the gaps between their races. 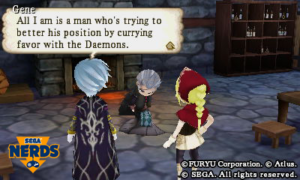 With Gene, there’s a begrudging trustworthiness with the Beastfolk, who do the bidding of Daemons and have to show respect for this lowly human working for the higher-powered Daemons. A final group features a member of the Beastfolk race, Barbarosa, who has pledged his allegiance to the resistance, after Wyatt saved him. Barbarosa is often seen with Renzo, another of Wyatt’s friends and someone who helps to guide Galil and Azura, as well as fighting alongside them at times. As the story unfolds and the rebellion becomes a more crucial part of your immediate actions, you are tasked with expanding the reach of human contact throughout the realm. 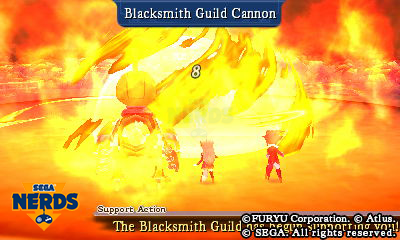 This involves setting up different guild buildings and recruiting new members to run each guild building. The different guilds help you in combat in different ways, sometimes raising your defence and attack, or possibly lowering that of your enemies, or (with the Blacksmith guild) bombing your enemies from afar, doing massive damage. The more guild locations you unlock/build, the better the reach for this support is across the world map and the more likely you are to receive help in fights. 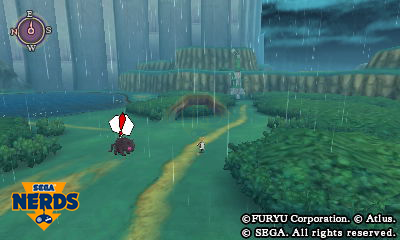 Plus, after the opening chapters in the game, you unlock various methods of transport, to help to move more quickly across the lands, or reach entirely new areas; such as a glider set of wings called an ‘Ornithopter’, an ark which lets you freely travel the seas Wind Waker-style. 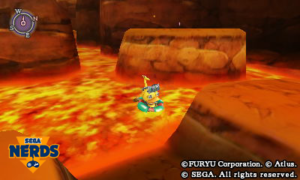 Or a giant rabbit that lets you hop across snowy mountains and a giant mechanical duck, which Tiggy uses as armour and allows the group to cross lava pools. 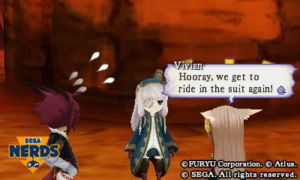 There’s a couple of other methods of transport that I don’t want to fully ruin for gamers, but I can say I felt like The Alliance Alive felt like it had a small sprinkling of Skies of Arcadia and Panzer Dragoon Saga about it. And there are certain points in the game where the player has to choose a course of action, such as getting involved in a dispute or holding back. Each choice can have different consequences later in the game, with some side characters possibly dying earlier on, or being spared to help with the rebellion at a later time. 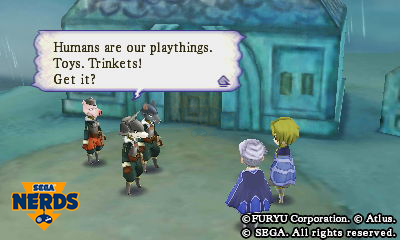 It’s not original, but a nice touch that gives players a reason to get involved with the characters’ and their plights. While I was disappointed with Furyu’s previous title, The Caligula Effect, the game did have some cool features and I’m really happy to see the developer bringing them across to The Alliance Alive. The game does away with random battles, instead, as you run around the open world, you can see shadowy forms of creatures and enemies roaming the lands. 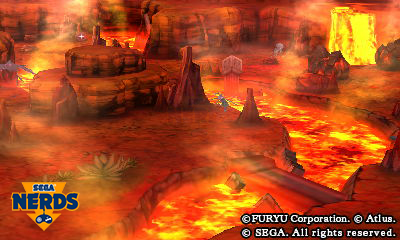 This allows players to either run into the enemies and engage in combat or try to run past them. But if a creature notices you, they will take chase and should they catch up, force you into combat – but it is wholly possible to avoid most creatures. The combat itself is a pretty traditional turn-based affair, although characters are not limited by different weapon classes. While they may have preferred methods of fighting, it’s possible for a magic-user to use and learn to fight with swords, axes, bows or spears. The more a character uses a weapon, the more special attack moves they will unlock, so it’s possible to master all weapon types, meaning that when you pick up or buy more advanced weapons later on, you can spread them across the team. Also, as soon as a battle is finished, your characters’ health is restored – meaning you can safely explore with the knowledge that you’re unlikely to die from taking on too many fights one after the other. Of course, it’s still possible to die, and if one of your team falls unconscious during battle, their maximum health is reduced, until you are able to find an Inn or Guild and rest properly. Something I love is how the game gives you a ‘Final Strike’ attack when you’re losing a fight. 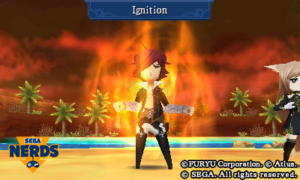 If your team is low on health, or party members are unconscious, the remaining combatants have the opportunity to enter ‘Ignition mode’ – where they become engulfed with flames and can perform a super powerful attack, but it will destroy the weapon they are using. This often led to some pretty exciting battles with bosses or particularly tough enemies. And while the Ignition attack would usually do enough damage to defeat your enemies, it was never guaranteed. Another nifty feature is that you can fast forward battles – so once you line up your attacks with your party, you can see the fights speed by as attack animations are sped up. Not only that, every cut scene can be fast forwarded too – so if you really don’t want to spend several minutes reading text, then you don’t have to. 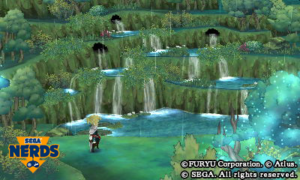 And while it does suffer from some of the limitations of the 3DS’ graphical abilities, the game looks stunning, with water-colour style artwork and each realm you visit looks equally imaginative and attractive. 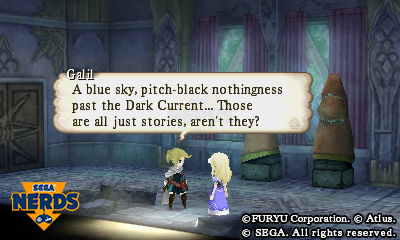 One thing that struck me about The Alliance Alive is how well it keeps the gameplay flowing with the story and it rarely gets stagnant or feels like you aren’t making progress. Even though your mission sounds like it could be repetitive, the introduction of characters and the uniqueness of each new realm, means the game brings in more and more gameplay styles – keeping everything fresh and interesting. 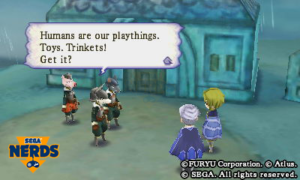 But while The Alliance Alive is a fun game, it’s not a perfect example of a JRPG. There are clear limitations from using the 3DS, such as no voice acting and characters lacking facial expressions, which is disappointing. Instead, the developers have used emotion icons to help show basic reactions during cut scenes and conversations. Essentially, I can’t help but feel something more impressive could have been achieved on virtually any other platform. Seriously, areas like this would have looked awesome in 3D mode… oh well. Also, The Alliance Alive doesn’t make use of the 3DS’ 3D capabilities, except in a couple of menu screens. I spoke to SEGA about this and apparently quite a few developers are not using 3D anymore, because it gives them more power from the console when making games in 2D only. I can understand why it was done then, although one advantage of a 3DS is playing games in 3D without glasses, so it was a shame not experience the game in 3D. But other than that, I can’t really fault the game. I can’t say it’ll set the RPG world on fire, but there’s really nothing wrong with it and everything it does right, it does really well! 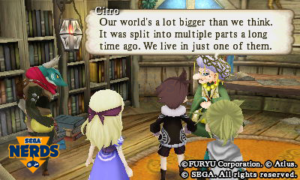 There are definitely better and more epic RPGs out there, but I really enjoyed my time with The Alliance Alive and cannot really fault it in any way. Yes, it’s not perfect, but most problems come from limitations of the 3DS, and none of them hamper enjoyment or gameplay. The fact is, the more I played, the more I found myself enjoying it – as the story and characters evolved. The story is entertaining, as are the characters and their development. More than once I found myself excited to see what was going to happen next and I loved the way the different groups of protagonists allowed you to see the world and its lore from various angles. Also, for gamers like me, who do enjoy RPGs, but don’t have hundreds of hours to spend on games, or the patience to sit through hours of opening waffle, The Alliance Alive is brilliantly accessible and sends gamers off on their adventure early on. My only hesitation would be for avid JRPG fans, The Alliance Alive might be a tad too ‘light’ in terms of gameplay, but ultimately, it’s a good RPG for those of who want a fun adventure on a portable device. – No 3D mode? Boo! The Requiem writes a click-bait censorship story… What happens next is incredible!